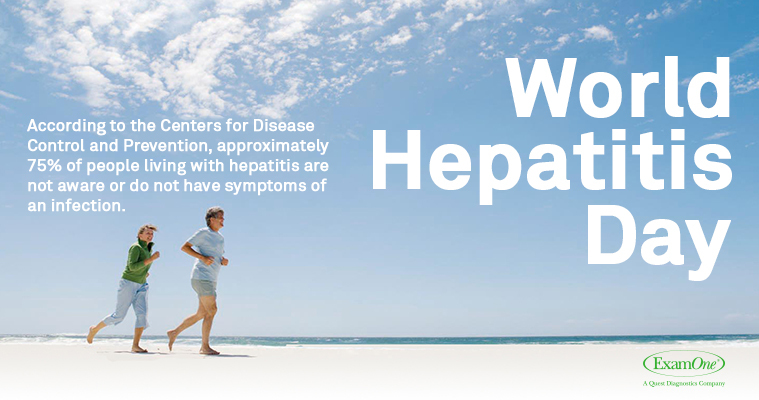 Each summer, the World Health Organization commemorates World Hepatitis Day on July 28 to spread awareness and understanding of the disease and its impact. Hepatitis is one of the world’s leading causes of death with 1.34 millions deaths a year. Currently, more than 300 million people are living with the disease. That is why it is important for the world to join together and take action to eliminate hepatitis. According to the CDC, approximately 75% of people living with hepatitis are not aware or do not have symptoms of an infection. That includes 3 million baby boomers who are infected with the hepatitis C virus. Without knowledge of the infection, it could develop into fatal liver disease. Knowing your status is the first step. Quest Diagnostics provides resources such as test reminders, educational videos, and information on blood tests that can help determine status. The CDC has found infections are increasing rapidly among young people because of the rise in opioid misuse. 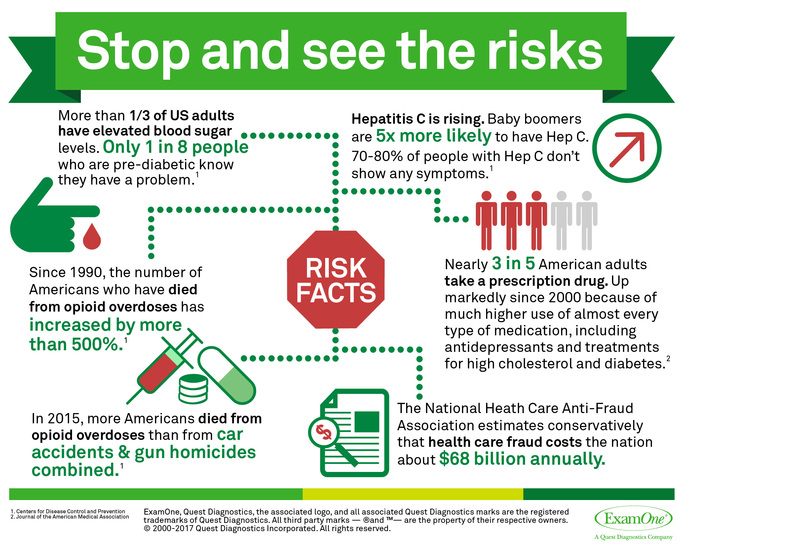 That, in addition to the prevalence of hepatitis C among baby boomers, is why it is important for life insurers to consider hepatitis screening for applicants of all ages. ExamOne offers a screening for the antibody of viral liver disease. Presence of the antibody indicates the presence of either a current or past hepatitis C infection. Learn more about ExamOne’s hepatitis C screening for life insurance companies. The good news is that events like World Hepatitis Day bring more awareness to the issues and help more people become aware of their risk and screening options. Quest Diagnostics offers a short quiz to help individuals determine their risk of hepatitis C. In addition, ExamOne’s Strategic Account Representatives can help life insurance clients evaluate options for hepatitis C testing for individuals applying for life insurance. Are you seeing these 6 trends changing the life insurance risk landscape? Over the past decade there have been significant changes to the health risks Americans are facing. While the causes and potential solutions to these health issues are being debated, the rising number of Americans living with diabetes, hepatitis C and the consequences of the opioid epidemic continue to impact our country. We also hear too frequently about how fraudulent activities affect both individuals and companies. Our recent conversations with insurance partners highlight six prevalent risks at the top of mind for industry leaders today. Help us inform others, feel free to use this graphic to illustrate current risk trends when needed. Right click to download. If you would like more information about these risks and how we can work together to address them, contact your Strategic Account Representative.